Whether the material is steel or teak, the details and sublime craftsmanship are in focus in the two new table ranges Cane-line is launching in 2019. The Drop and Endless tables are as different as they can be; Drop is cool elegance while Endless is warm and invites touch. However, both have attention to detail and good craftsmanship in common. 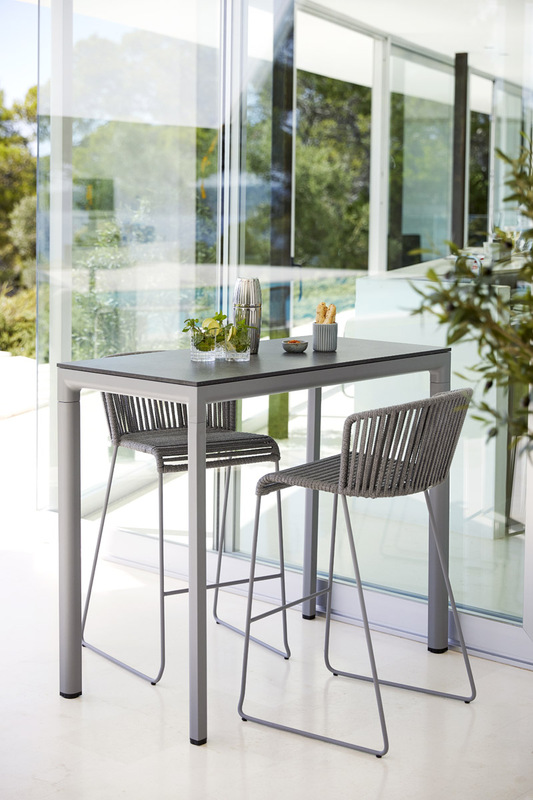 Drop is the clean-cut, elegant table, designed by Cane-line’s own design team with a view to the range being flexible and to match the many chair designs that Cane-line already has in its collections. The name of the table refers to the aluminium frame, which has a teardrop-shaped profile – a profile that makes the joints between the legs and the frame extra elegant and worth noticing. 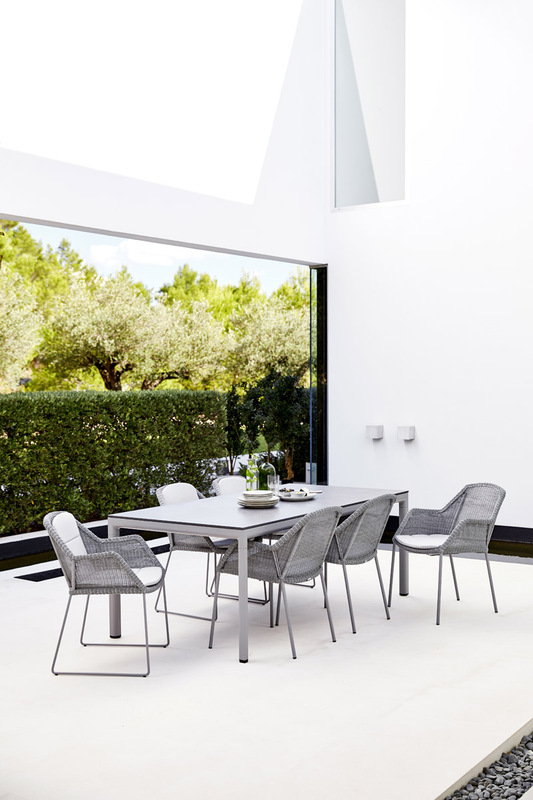 Drop is powdercoated in light grey or lava grey and is available in many sizes as a dining table with and without an extension leaf, as a high bar table and as a café table. 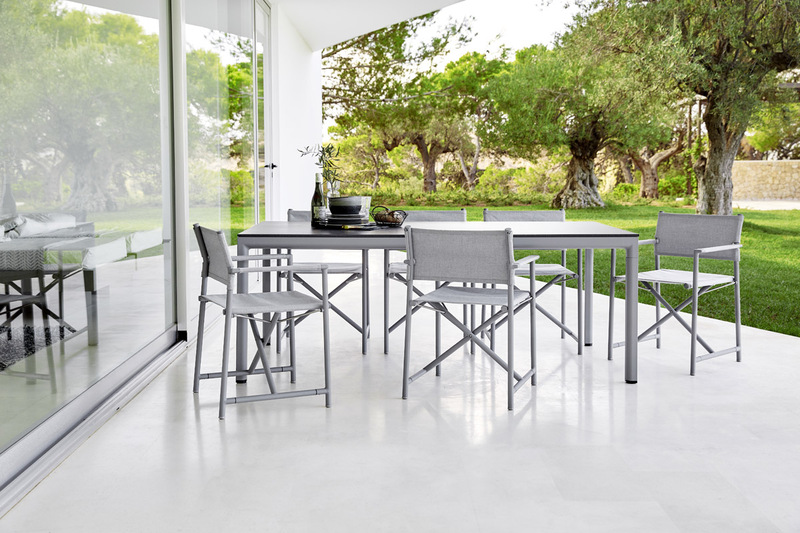 Practical features include height-adjustable legs, so that the table stands steadily on an uneven surface, and space to accommodate the extra leaves in the frame of the large tables. The café table has a tabletop made of powdercoated aluminium. The other tables have a particularly robust ceramic tabletop. 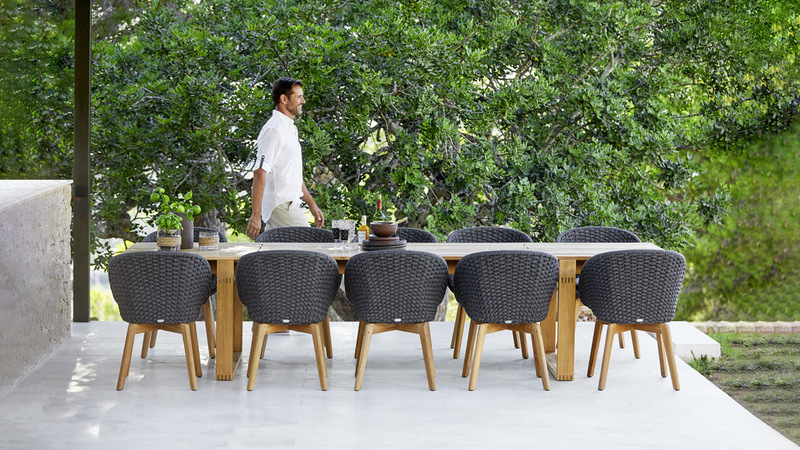 Endless is the designer duo Foersom & Hiort-Lorenzen MDD’s tribute to beautiful, durable teak. It is teak of the slow-growing type with a special glow and sturdiness. A quality that invites particular care and respect. Endless is available as long, rectangular tables with space to seat both family and friends, and as smaller, round tables. Both types have a tabletop with staggered slats and the unusually beautiful underframe. This is where Cane-line’s talented cabinetmakers really come into their own with beautiful joints and not a screw to be seen! Teak can withstand being outside all year round due to its naturally high content of oil. Over time, the wood takes on a grey, almost silvery, surface. If you wish to preserve the warm golden tone, simply apply a good wood oil. Materials: Aluminium with powder coating in light grey or lava grey. Fitted with a ceramic tabletop. The legs are individually adjustable, so the table does not wobble on an uneven surface. Dimensions: Width: 120 cm. Depth: 60 cm. Height: 104 cm. Materials: Aluminium with powder coating in light grey or lava grey. Fitted with powder-coated aluminium tabletop. The legs are individually adjustable, so the table does not wobble. The dining table is available with extension leaves, which are hidden under the frame of the table. Without extension leaf: Dimensions: 90x150 cm, Dimensions: 200x100 cm, Drop extension leaves: Dimensions: 60x100 cm. Design: Foersom & Hiort-Lorenzen MDD. Rectangular dining table in two sizes. Endless dining table: 100x240 cm and 100x332 cm. Round dining table in two sizes. Endless dining table: diameter 130 cm and diameter 170 cm.